Top quality workshops, offices and industrial space in the midst of South Croydon with a phenomenal range of facilities and superb IT capabilities. Leaseholders benefit from an in-house café, showers, meeting rooms and plentiful parking space for cars and larger vehicles. The site is pleasantly landscaped and close to Croydon centre with easy routes into London. 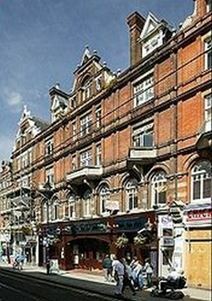 A grand, brick-built period building providing 4 floors of offices over ground floor shops. The space is furnished and blessed with excellent natural light and wooden flooring, with cutting-edge technology and 24 hour access. 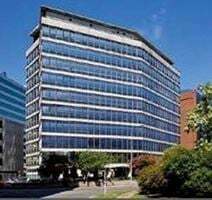 Situated on one of Croydon's main streets the offices are on the tram system whilst also being near to the busy East Croydon station and a host of retail outlets. This impressive business centre is situated on Robert Street, and offers a prominent and extensive frontage. Serviced offices are available in a variety of sizes and configurations, and are offered with a range of business support services. Transport links are very good, with bus services passing close by, as well as Croydon Railway Station providing connections to London, and the London Underground network. In the heart of Croydon, and only 20 minutes from central London, this stunning 21,000 sq. ft. tech hub is spread over two floors and is made up of a mix of shared and private office space. Providing a real tech, art and media community the space also has a 250-person events space member lounges, meeting rooms and boardrooms, as well as an on-site coffee shop. Being so well placed for Central London, any meetings in the City are within easy reach. Close to cafés, retail and a major shopping centre, this modern, high-quality office space is available now on flexible terms. Located in a prominent building in the centre of Croydon, the centre is an easy walk from East Croydon station and the local Tramlink. A modern business centre with cutting-edge IT systems, the newly refurbished Lansdowne Building has been stylishly furnished with sleek communal areas. Benefits include parking, showers and 24 hour access and the property is in central Croydon, which is a major retail and transport hub. Places to eat and drink nearby include well-known chains such as Costa Coffee, as well as smaller, independent eateries. This space is just a 10-minute walk from Selhurst Railway Station, and 15-minutes from West Croydon railway Station. Heathrow Airport can be reached in an hour, and the A23 is within 15-minutes' drive. The space is accessible 24-hours a day, and amenities include showers and bike racks, perfect for those cycling to the office, as well as air conditioning, IT support, access to a kitchen and car parking. 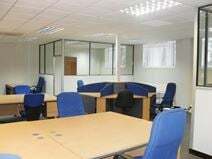 This centre offers fully furnished office space in a range of sizes. The modern centre is in an ideal business environment, with meeting rooms, 24 hour access and great security. We offer flexible agreements. The space is located close to a tram station, and under 2 miles from the nearest train station. 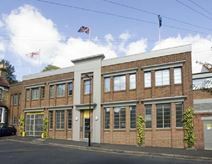 This eye-catching, historic Grade II listed building was once the principle terminal of Croydon Airport and retains its elegant Art Deco façade. Now renovated to become a fully serviced business centre it offers stylish office accommodation with meeting rooms, a kitchen and lounge area. It is located off Purley Way, south of Waddon rail station. This sharp, modern centre provides office accommodation ideal for small companies which is stylishly furnished and reached through a manned reception hall. The centre is within easy walking distance of central Croydon and its tram, bus and rail services. On-site, there are conference facilities, meeting room availability, IT support, office cleaning, secure parking and postal facilities and mail handling. This Croydon based business centre is extremely well-connected, with West Croydon Railway Station very close by, as well as bus stops and a tram station. Amenities surrounding the space include a Starbucks Coffee, Caffe Nero and Wagamama, as well as well-known shops Next, Debenhams and Marks & Spencer. Hotels are within walking distance, and there are banks, pharmacies and car parks all in the local area. A unique, Art Deco style property containing a number of individual, serviced office suites which are comfortably furnished and part of a charming courtyard complex. Leaseholders have use of showers, a conference room and car parking and the building is in an area just south of central Croydon. Purpose-built units suitable for office and light industrial use with storage areas; several are available, varying in size and all with secure 24 hour access and car parking. The centre is located in a quiet area of New Addington, which is on the Croydon tram system. A modern, extensively glazed building, newly constructed and offering furnished offices suitable for small and medium range companies. 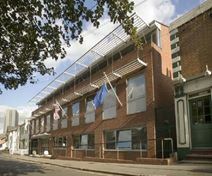 The offices are fully serviced and with access to free on-street parking and are situated in a quiet residential area north of West Croydon within easy reach of retail and leisure amenities.